These days, there certainly is no shortage of social networks. Some make it, some don't. One of the more recent ones taking off (and even catching some heat) is Pinterest. We're still waiting on an official Pinterest app, but that's say there aren't third-party offerings. If you're not familiar with what Pinterest is all about, we'll explain. Pinterest allows you to collect and curate content from around the web. Find a cool picture you want to share? Pin it. Neat video? Pin that, too. How about a recipe for double-buttered pork loin? Pin that while you're at it. You can choose and create themes for your "pins" -- so say the pic you pinned was of a nice car, you would pin it to your cars section, also known as a board. Anyone who follows you on the service can see it and share it with others through Pinterest, Facebook or even Twitter. Simply put, it's a collection of things you find interesting and wish to share with others. Access to Pinterest is by invite-only for now, but invites are fairly easy to come by, and getting your content to Pinterest is pretty easy as well. You can add stuff from your computer using a toolbar bookmark they call the "Pin It Button" and they also have goodies for websites that allow Pinterest integration. Or if you're into this whole mobile thing, they also have an app available for iOS. But what about an Android app? Nope. No official app from Pinterest to access their services. To ignore such a large user base Pinterest must have looked into it and found there was no interest from the Android community in their services, right? Not exactly. If you look around Pinterest there are plenty of users wanting a dedicated Android app. 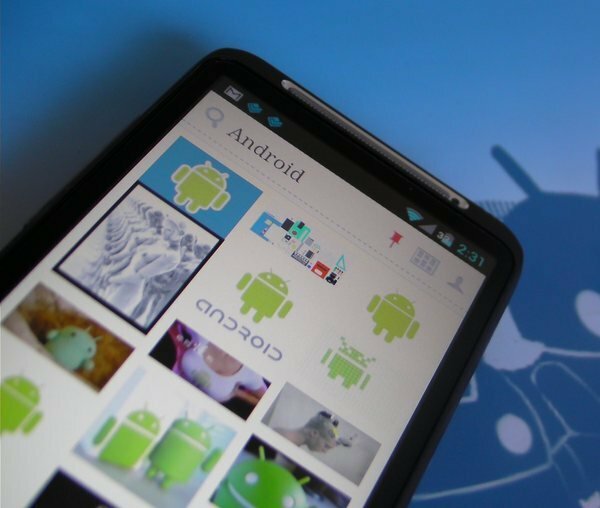 Folks are sharing all sorts of things Android on Pinterest; it has even become a small hub for those wishing to share their Android apps. To their credit, they do offer a pretty nice HTML5 site and the iPhone app is fairly new so maybe they have an Android app in the works but if that is the case they've remained quiet about it. So what can you do as an Android user to access Pinterest? Well, you can use the HTML5 website -- it does work quite well. However, if you're looking to check out some new apps there are a few third-party Pinterest apps available in the Android Market. We round up a few Android Pinterest apps after the break. 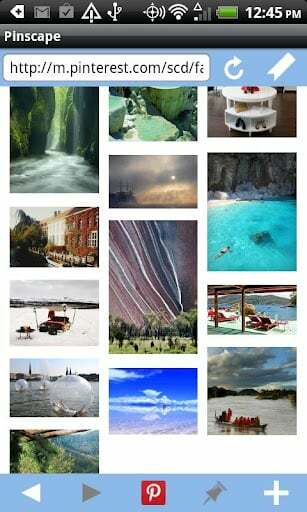 Pinterest For All is a fairly new app submission for the Android Market but it looks to have some promise within. It allows for simple access and logging in to peruse through your pins and those of others. Given that it is a new app, there isn't a lot of feedback on it as of yet so mileage may vary. Pinscape is one of the more robust apps available to access Pinterest, although it's just a front-end for the mobile website. It allows you not only view all of your pins but also browse the web for and access all your bookmarks in order to be able to pin them. 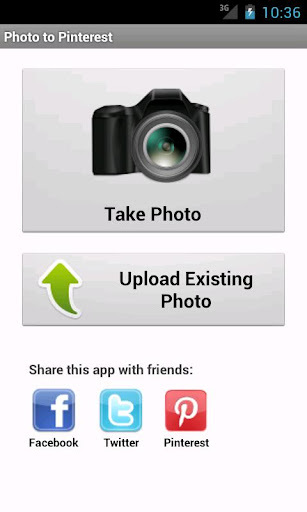 Pinscape is also one the paid apps that allow access, with the app cost .99 cents in the Android Market. So even though there is no official Pinterest app available in the Android Market, at least they've opened their API a bit to developers so that folks can create Pinterest apps. In time, I'm sure they will build a dedicated Android app but until then, check out some of the selections above if you're looking to get in on Pinterest from your Android device. It's free, and you can use any darn browser you want. No-brainer, right? The, erm, point is -- we might not have an official Pinterest app just yet, but that's not to say you're shut out from your Android device.